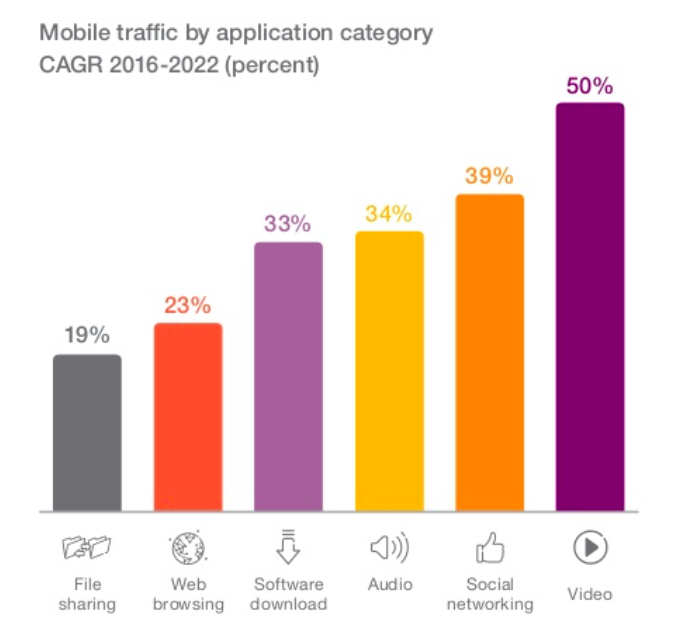 Global cellular penetration rate is over 100%, double-digit growth in video traffic are some of the trend-setting numbers shaping the highly anticipated arrival of next-generation 5G mobile apps, services, networks and devices. Let’s look at 5 critical facts and figures on consumer mobile usage, adoption, subscriptions and traffic to learn and inform 5G forecasts like mobile market growth predictions, product development priorities, disruptor strategies, app release plans and even reports to the board. (1) 5G will Be the First Mobile “G” Introduced in a Market with +100% Global Penetration: The mobile ecosystem is everywhere, and everyone around you is carrying a mobile phone. An over 100% global penetration rate is the number that summarizes this situation well. Global penetration is expected to continue growing leading to 5G thus the business models of this environment are likely to embrace multi-screen, replacement cycle management, and new applications as the basis for 5G growth via new use cases. (2) 5G Meets Double-Digit Growth Mobile Broadband: Today’s mobile marketplace shows a total of 7.5 billion and still growing. 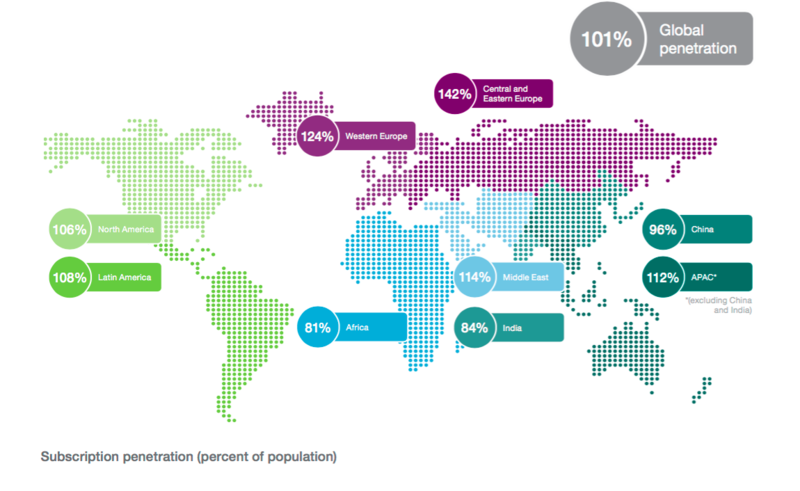 Important to keep in mind for 5G is that 70% of these subscriptions come from Asia (APAC) and Africa/Middle-East. Most importantly from a 5G forecasting point of view is that in 2016 while the number of mobile subscriptions grew 4% year-on-year (Y0Y), the number of mobile broadband subscriptions grew at the much faster rate of 25% YoY. 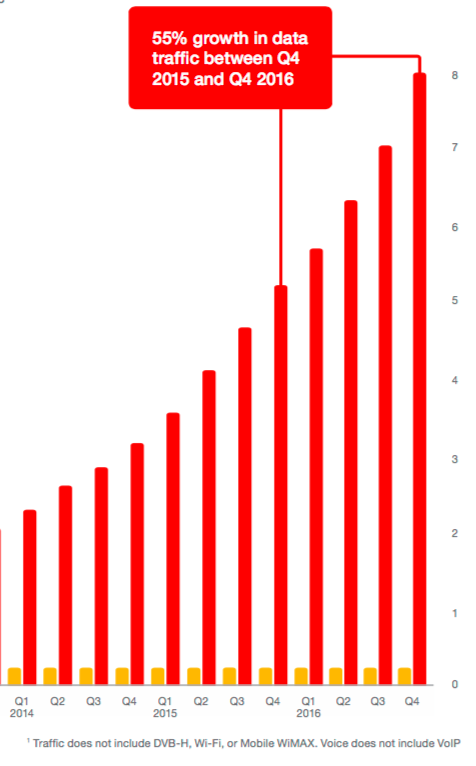 (3) Traffic Per-Subscriber Continues to Grow. Plan Accordingly for 5G: Mobile traffic has been experiencing steady growth in the mid-single digits over the past few years. The growth in traffic is being driven by the rise in the number of subscriptions and the continued increase in average data volume per smartphone/tablet subscription . Today, smartphone subscriptions make up about half of all subscriptions but almost all new subscriptions are for data-hungry devices — consider for example that 440 million smartphones were sold in Q4 2016 which is 85% of all mobile phones sold in the quarter — thus planning for 5G, a much higher solution of traffic per subscription/subscriber is a must. 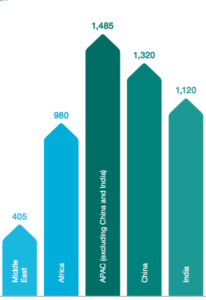 (4) In Search For the Next 1-Billion in Emerging Markets. Is 5G the Answer? 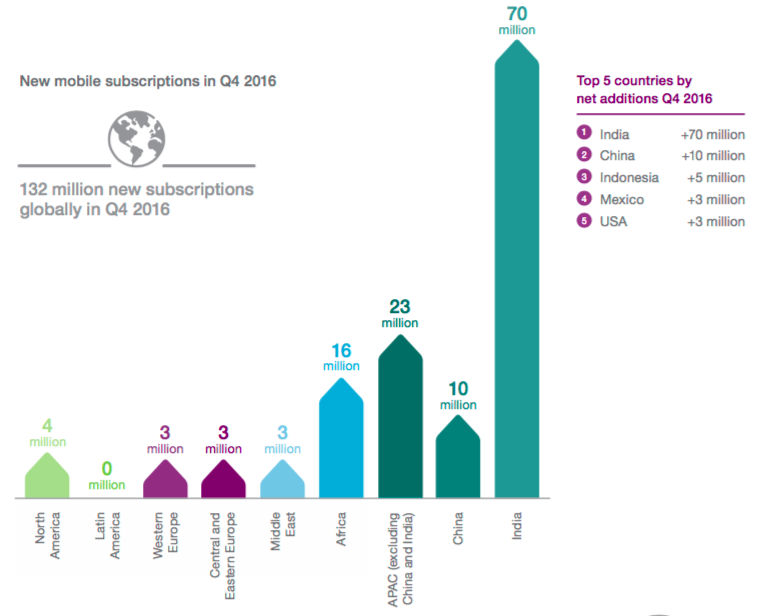 Emerging markets like India and Africa are capturing the lion share of subscription growth. This in an important part of the market that 5G could only address if it offers cost-effective solutions to compete with previous “G”s, and with fixed alternatives. (5) A Video-First User Experience in 5G: Users are driving video, social networking and audio to be the fastest growing mobile application categories. By the time 5G arrives, it will have to prioritize supporting their requirements specially video. We are learning that uses continue to consume more and more. The forecast when planning for 5G should take into account that mobile video traffic will grow 50% annually until 2022, i.e. 75% of all traffic. Source: Ericsson Mobility Report, February 2017. Image Source: Ericsson Mobility Report. 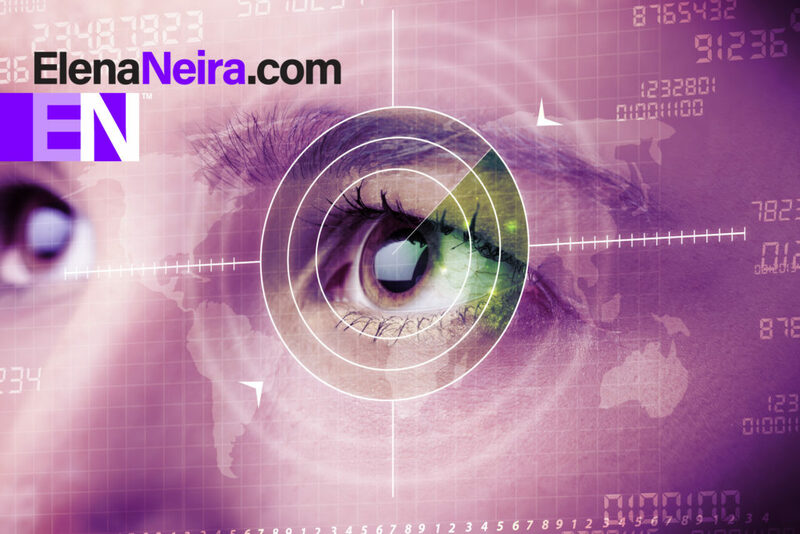 © 2017 www.5g-magazine.com, www.elenaneira.com – All rights reserved. Use of this Web site signifies your agreement to its Terms & Conditions.